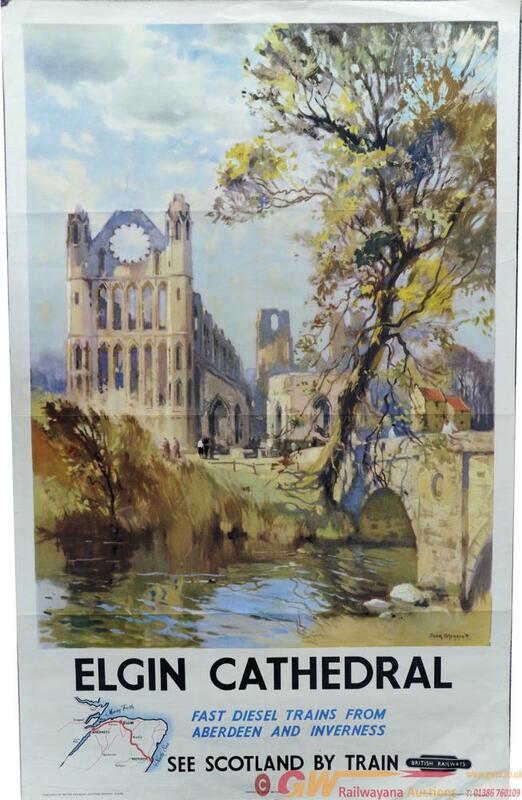 BR Poster 'Elgin Cathedral - Vast Diesel Trains from Aberdeen and Inverness' by Jack Merriott, D/R size. A view of the Cathedral with river and bridge in foreground. Published by British Railways Scottish Region and printed by Stafford & Co. Folds and minor edge crinkling otherwise extremely good.